YouTube is arguably one of the best alternatives to piracy for casual listeners. Instead of going through the trouble of downloading a track for ‘sampling’ purposes, people can usually play it from YouTube straightaway. The added bonus is that copyright holders also earn money from authorized plays on the site, which generates dozens of millions in added revenue per month. 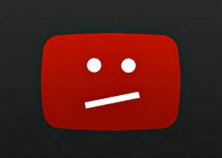 While this might sound positive, the major music labels are not pleased with YouTube at all. In fact, in recent months they’ve been pushing hard to revamp current legislation, so they can make YouTube pay more than just a small portion of the ad-revenue. “Instead, dominant tech platforms like YouTube are able to abuse liability protections as royalty havens, dictating terms so they can grab the value from music for themselves, at the expense of artists,” he says. “This is wrong. Music is precious – it’s not a commodity to be strip-mined for big data,” he adds. Ultimately, the music industry wants YouTube and other user generated services to pay more. In part, they think this can be achieved by making sure that “pirate” videos no longer appear on the site. If there was no pirated content on YouTube the labels believe they would be in a better position to negotiate than they are now. Ideally, this should happen by changing copyright law so the site can no longer “hide behind” safe harbor protections. “This problem requires urgent action by the EU, and our Government needs to take the lead in making sure it is tackled,” Taylor says. The music industry attack on YouTube is well-coordinated. BPI’s comments fall in line with similar complaints made by other music industry groups, including the RIAA which recently accused YouTube of running a DMCA-protected protection racket. YouTube owner Google, meanwhile, remains seemingly unfazed by the complaints. The company recently stressed that it does have proper licensing deals with both major and independent labels and that it paid out over a billion dollars in recent years. In addition the company noted that there are sufficient tools to remove infringing content from Google. “Those pressing the ‘value grab’ argument also assert that the royalty rates in these licenses are too low, allegedly because the DMCA’s notice-and-takedown process makes it too difficult for record labels to withdraw their works from YouTube in the face of users re-uploading those works. “This claim, however, ignores Content ID, which has been in existence since 2008 and which record labels use every day to monetize their works on YouTube,” Google noted. One thing’s very clear though. With Google and YouTube being targeted from multiple sides, we haven’t heard the last of this yet. if they want more money from i get that but if it's to stop them from having certain videos for it that's not right. i am a beach boys fanatic i've been a fan of theirs since (1984) when my brother introduced me to their music and i have through the years i've downloaded and got offline over 100 bootlegs, some i paid for and some i was given to from various people because they know i'm a fanatic of their music. i belong to a beach boys fan site and it's not a pirate site, they post videos from you tube on there, oh and i have never sold, traded but only kept for my own personal use and not for anything but that, in short i've made no money from getting these bootlegs. nor do i ever plan to either, anyways on the site they've posted videos of songs i've never even heard of them before. outtakes and i am a HUGE fan of their music and i get to listen to music that will no doubt never will be put onto cd or anything at all because some of it the band thinks is dreadful. there's music in the Stones Libary that i have from bootlegs that are outtakes that they think are dreadful but they aren't. they are gems Billy Joel thinks all of his music that has never been put on albums are songs that are terrible and that's not right either cause he's flat out wrong. there's plenty of gem and if piracy never existed i'd never have a lot of these songs, or if you tube didn't have them i'd never hear them. my point is since MTV and VH1 no longer exist as music channels but reality tv. you tube is the only way to discover an artists music. and i've became fans of certain groups of bands/artists through downloading, through you tube that i never would have thought to listen to before. and these assholes i'll be bleeped but i don't care don't ever think to realize that if neither existed they would have NO money coming in at all! no i don't think it's only from that cause people can hear one song on the radio and pay for it legally. i still buy cd's dvd's etc as i've said many times. in fact i downloaded the monkees NEW album and put it on my ipod and i've since bought the cd of it because 1. i love the band and i would have bought it anyways and 2. i was impatient to hear it because i haven't heard NEW stuff from them in 20 years! great album by the way. what they need to do is stop all of this crap and realize the potential in making money from piracy instead of trying to stop it and spending money to stop it. them going after people who movies on the street for example that's one thing i get that, and that's been going on long before piracy ever started on the net. trying to stop that is like trying to stop prositution sorry for my bad spelling it'll never happen. i have no idea if they will ever be able to stop piracy but if they get pretty far no doubt it will just go underground in some form or other. now i don't download everyday. i go through periods when i can get a lot. than i'll go through periods where i barely do any and that's fine. but i've been trying to cut back on it watching movies like i said on you tube 1st. before i go i just want to say this, i've prolly said this before that when VHS 1st hit the studios were against it and one even said they thought the idea of people watching a movie more than once and not paying for it was wrong. they wanted your money each time you watched it and look how big that ended up being? it's still going on where you buy movies legally in stores and it makes a **** ton of money. with digital stuff it in a way still goes on you just don't own it physical that's all. they need to realize that piracy is just another form of that. and jump on the wagon on realizing they could make money from it instead of trying to stop it. You know what else would really help the RIAA and the MPAA? having the **** in stores they want to make money as any business would but i was at best buys with my mom & their dvd and blu-ray section is smaller than the last time i was their so is their cd collection. the guy working there said it was downsized. i went there to get some X-files on blu-ray they are selling them for $9.99 and for those who take my advice and get them on blu-ray be warned Season 8 may be defective. the picture quality is just to dark from my understanding. i don't have that season yet though. if it's too dark for you Contact Fox and they will have you send the discs or disc back to them and they will replace them for you. or you may get lucky and they will be fine. having said that they didn't have all the seasons but i dunno if that's because they have been selling like hot cakes as the old saying goes. or they are in the back room. i also bought seasons 1 & 10 of the show Supernatural and those were in the backroom and the guy working there was kind enough to go back and get those for me. my point is how are people suppose to buy your product in stores if there 1st choice is to check stores and there may be people who don't have internet connection that does still happen in this day & age where not everyone even has a computer. but downsizing dvd, blu-ray and cd sections in stores that used to have huge sections dedicated to them isn't making them any money at all it's losing them money and how in the hell are they suppose to make any money if they do that? something well a thought that just occured to me. what do you folks think?